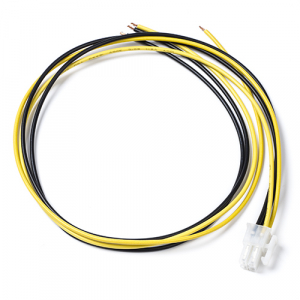 This cable has 50cm 2x black and 2x yellow 18awg wire (+). It has a ATX 4pin connector on one side. The other side has 5mm leads, which you can hook up to your power supply.